Today is another travel day – this time I’ll head to JFK and then hop an AirBerlin flight to Germany. Big-city trains are dehumanizing in the same way that big-city streets are dehumanizing. Small-town folks don’t understand this, but the reason we don’t say “howdy” to every person we pass is that we’d have to quit our jobs to make even a modestly respectable effort at doing so. We’d surely then go insane at the futility of the project with which we’ve saddled ourselves. Recognizing all of these facts, we don’t often make intimate connections with strangers in medium- and large-sized cities. I therefore appreciate whatever little doses of humanity I can grab from whatever branch is extended to me, and I try, every once in awhile, to extend these branches myself. Something I’m considering that I didn’t mention yesterday about trekking around Manhattan: on my way north from Penn Station to 51st for dinner with my friend, I found myself talking with two people on the E train. Conversing with strangers on subway trains with regards to anything more significant than weather, sports, or directions to one or another interlocutor’s destination is out of the norm so far as has gone my experience. My frame of reference is shaped by my time on trains I frequented when I lived in Chicago, Salt Lake City, Pittsburgh, and when I’ve used other city transit systems while traveling through the United States – those of Boston, New York, San Francisco, etc. People who don’t know one another usually just don’t have real discussions. But this was what we had – a genuine dialogue. Its participants were an older black woman on her way home to Queens, a native Italian just arrived in the United States, and me – and meeting someone from Utah is almost as out-of-place, if not more so in New York City, than meeting someone from Italy. We were each fascinated by one another. The woman wanted to know where I was going with my oversized backpack; I wanted to know from where the Italian hailed, exactly; the Italian was tickled that I knew his part of the country from a two-week visit a few years back. I was also curious about what this lovely, old New Yorker would make of the Italian guy who’s just moving to the United States. She seemed to be confused, wondering if it’s a dream in which she’s talking to two strangers, but she’s befuddled to pleasant effect. I was so engrossed both in my attempts to communicate with the Italian and in the woman’s efforts to relate to both of the strange people suddenly having a real, live conversation that I missed my stop. I realized it a few minutes afterward and was satisfied to have missed it: I feel like I gave up a bit of worry and concern for a chance to interact with other human beings on an occasion of what usually is a dehumanizing affair. Nine-hour flight to Berlin forthcoming. Tschüss! Question: Can you relate to this experience (or of the other variety of experience) with perfect strangers on a bus or train? Please share. 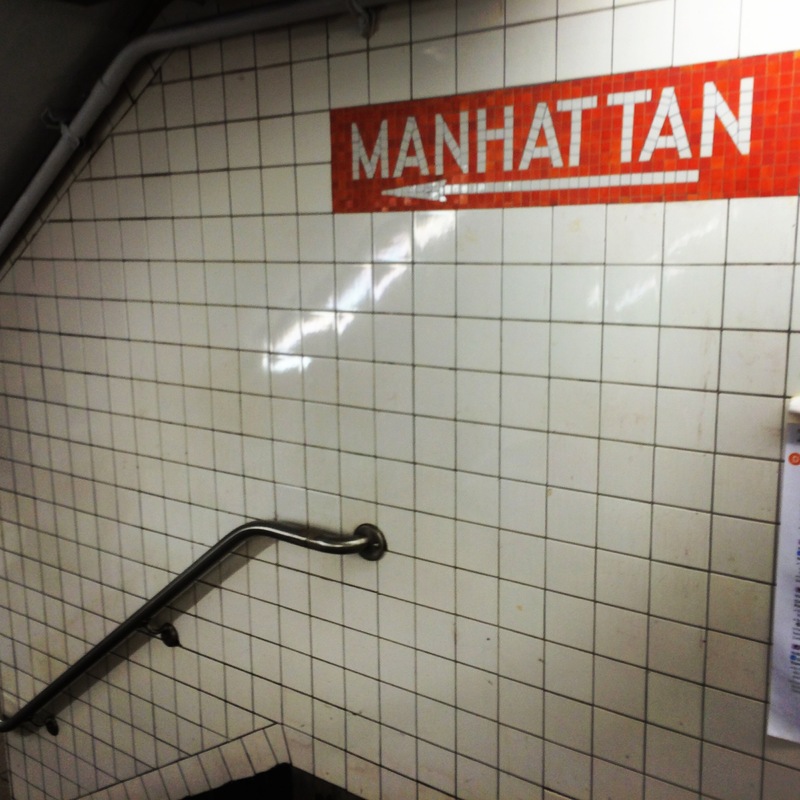 This entry was posted in Travelogue and tagged big cities, buses, human interaction, intimate interaction, new york city, public transit, small towns, trains, value. Bookmark the permalink.